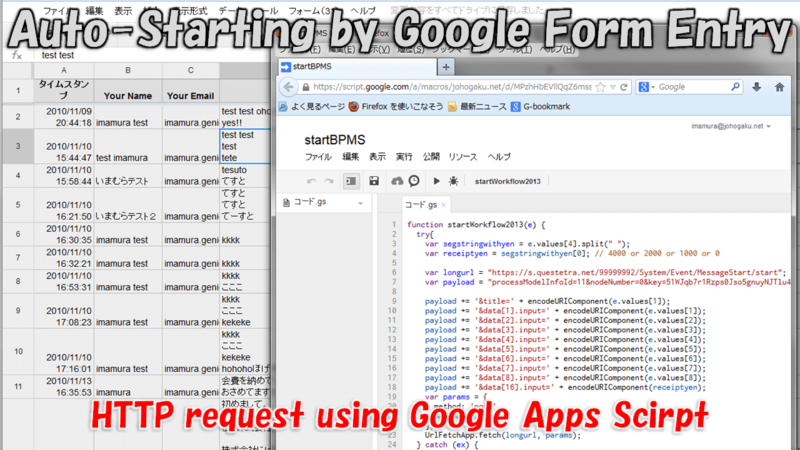 By linking Google Drive (Google Spreadsheet Form) and [Message Start Event (HTTP)], the mechanism of HTTP Start, a Workflow in which contains the contents that entered in the Google Form will be Started automatically. 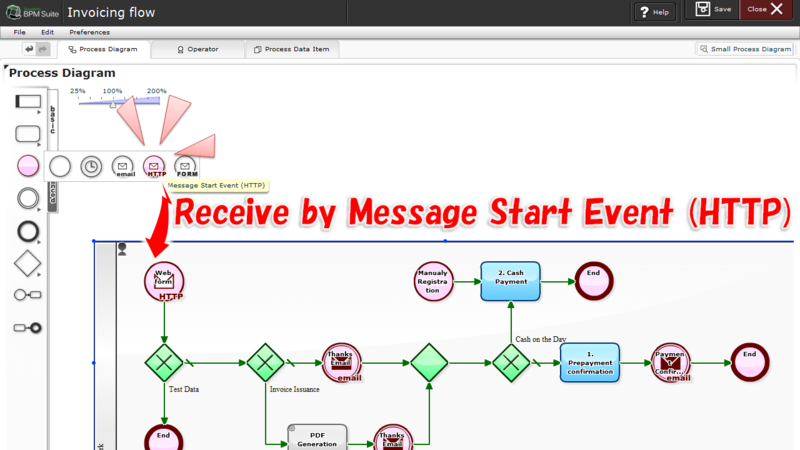 For example, a "Payment Confirmation - Thanks-mail flow " will be Started at the same time as the event participation acceptance. You can continue to use the "existing Google Form"
After releasing the Model, you will be able to see the Starting URL (request URL) or "Names" of parameters, etc. Can I Post to Open Chat from Workflow Operating Screen?